PARIS, France (PNN) - March 3, 2019 - Violence erupted on the streets of France for the 16th weekend in a row as yellow vests protested against government economic policies they see as favoring the rich. Protesters set fire to bins and threw smoke bombs as they clashed with terrorist pig thug cops who used tear gas to control crowds. Demonstrators wore red hoodies with the tricolor cockade - an emblem of the French Revolution - and stood with their mouths taped shut. ELK RIVER, Minnesota (PNN) - March 2, 2019 - Kindness is seeping into the classrooms and corridors of an elementary school in Minnesota thanks to a group of fifth-graders. The students at Parker Elementary School started a Kindness Club last year, and observers say it’s having a positive impact on classroom culture. ECUADOREAN EMBASSY, England (PNN) - February 26, 2019 - Staff at the Ecuadorean Embassy have cause for celebration today with the news that they may finally be rid of their long-term houseguest, Julian Assange. PATAGONIA, Arizona (PNN) - February 23, 2019 - You have probably seen one of the countless videos showing terrorist pig thug cops threaten to arrest people for practicing their First Amendment rights to film in public. However, this story is unlike any we have ever seen, as the person flexing her rights is a 12-year-old girl who runs her own news company out of Arizona. SOUTH HILL, Virginia (PNN) - February 22, 2019 - Corporal C.B. Fleming may not run around the city wearing a cape and mask, but the neighborhood children still call him Batman. The 42-year-old cop is something of a local celebrity in South Hill, Virginia. He was given the affectionate nickname after he spent an afternoon ensuring that a group of children felt safe following a gas leak. In a free society, every individual has a right to their life, liberty and property. 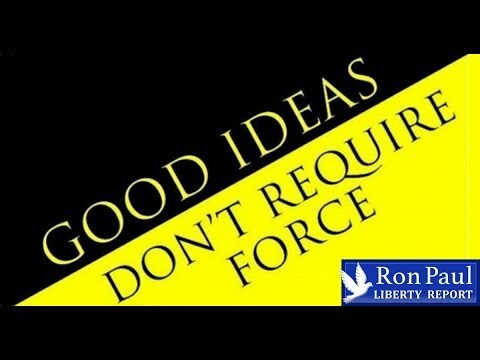 No one may initiate force (i.e., invade) the life, liberty or property of anyone else. This is the ideal that must perpetually be in our sights, despite the loud voices who relentlessly push for the opposite. Patriot Dr. Ron Paul reports. Journalist Lara Logan expounds brilliantly on the status of the media in the Fascist Police States of Amerika. Incredible perspective from one of the most prolific journalists of our time, dissecting the state of the very industry in which she is so prominent. Mike Ritland reports. Sibel Edmonds joins the proud Turkish activists and farmers of Fethiye who stand against genetically-engineered and corporate-owned seeds, and work together towards independent farming and organic produce. 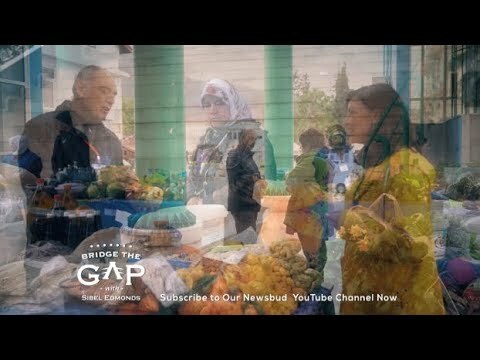 Join Sibel Edmonds in bridging the gap with our universal pursuit of health and food integrity.